Michael Trigilio is a multimedia artist living in San Diego. Born and raised in San Antonio, Texas, he received his B.A. in Humanities from the University of Texas at San Antonio. His fear of religion notwithstanding, he was ordained as a lay Buddhist priest in 1997, a role from which he resigned five years later. He received his M.F.A. from Mills College in 2003. His work migrates among many media, exploring themes of narcissism, humor, science-fiction, and memory. Michael's works in film, sound, performance, and tactical-media have been exhibited at the Museum of Contemporary Art San Diego, the LA County Museum of Art, and the Contemporary Museum in Baltimore among many others. Michael's collaborative public-media project Neighborhood Public Radio was included in the 2008 Whitney Biennial and in residencies at Headlands Center for the Arts in 2007 and MOCA LA in 2011. He collaborated with San Francisco's Little Seismic Dance company on several dance/film projects, including co-directing the large scale We Don’t Belong Here (2011) a Dancers’ Group public-dance commission with Katie Faulkner. In 2013 he developed Project Planetaria with astrophysicist Adam Burgasser and artist Tara Knight focusing on interpreting astronomical-data through performance, sound, and media-work. Michael's musical project, Starvelab, released a tape of modular synthesizer music on Rita Records (2014). Working with virtual-reality, LIDAR, 4K cinema, and stereoscopic imagery, Michael produced Tell Them Everything / Remember Us (T2ERU) (2014) at the Qualcomm Institute. T2ERU is a suite of sci-fi experiments which play with the wisdom, folly, and neurotic obsession found in the discourse of interstellar memory. His recent short film, Growing Up Death Star (2015), premiered at the San Diego Underground Film Festival and was included in the Other Cinema program in San Francisco. 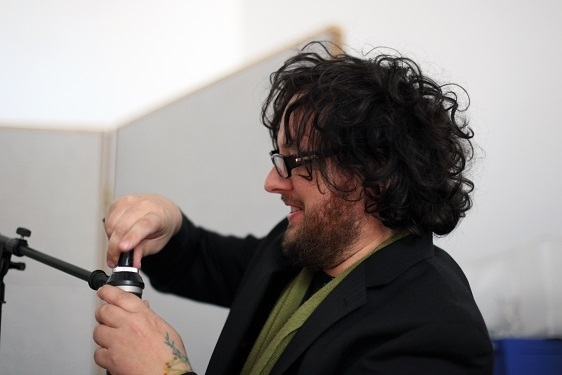 In 2013 he received the UCSD Distinguished Teaching Award for his work in the Department of Visual Arts where he teaches students in contemporary media art.